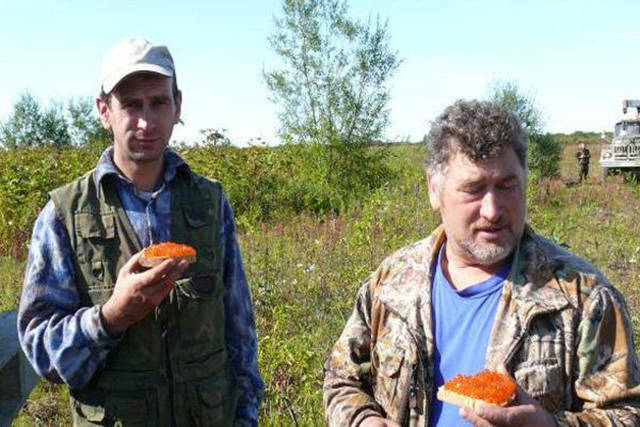 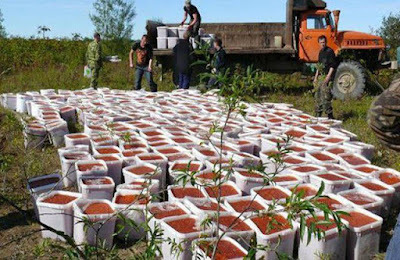 A former fish inspector was raided in Kamchatka, Russia. 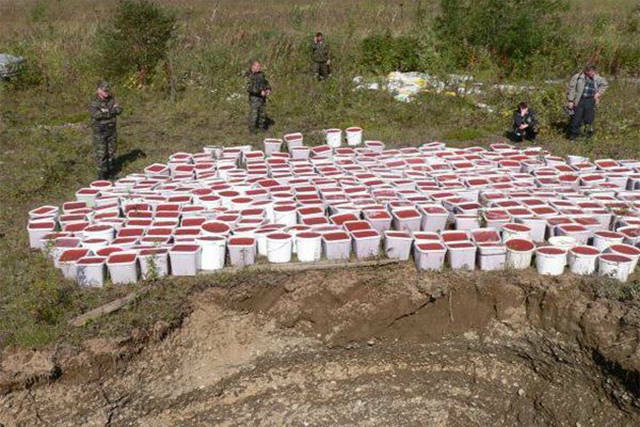 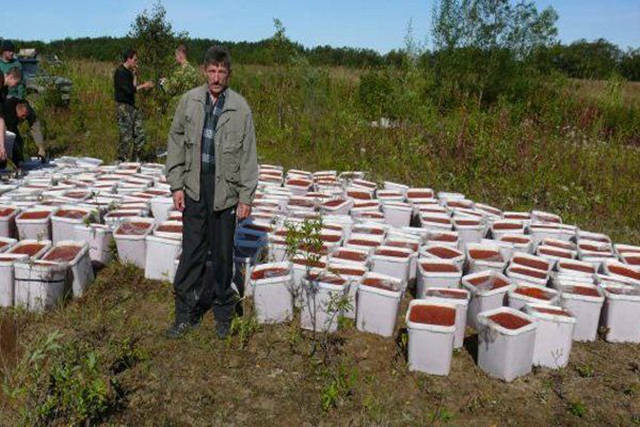 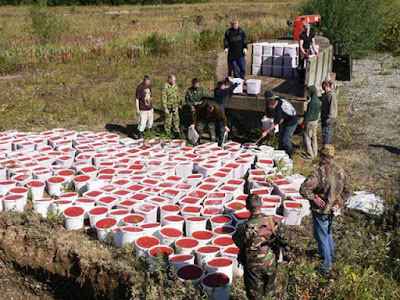 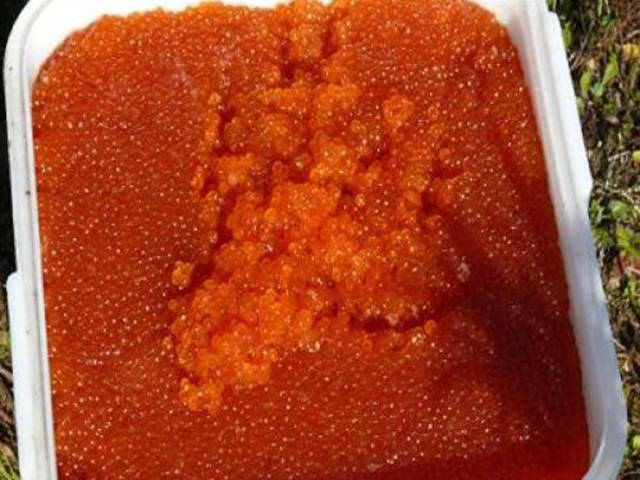 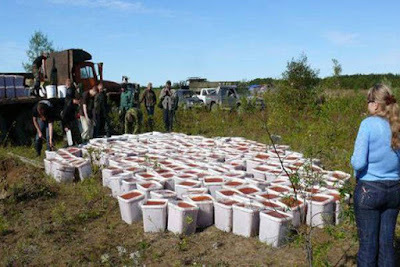 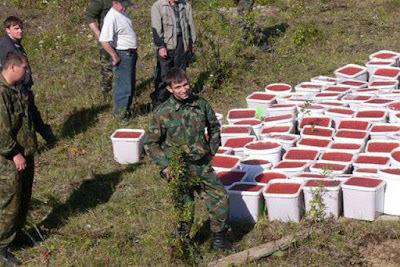 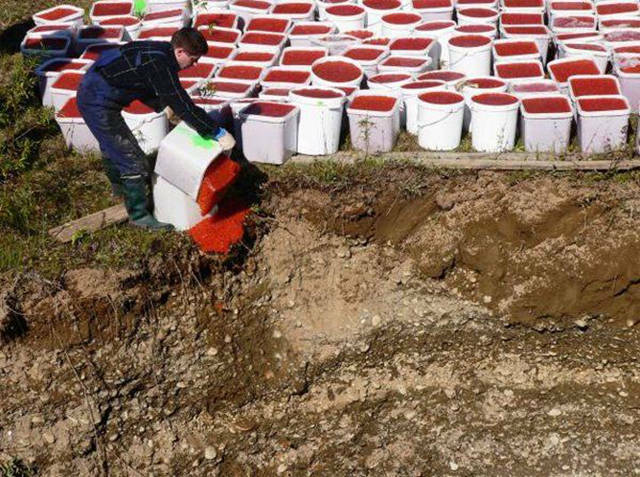 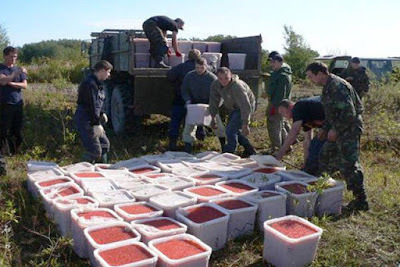 Over four tons of red caviar was seized on his property. 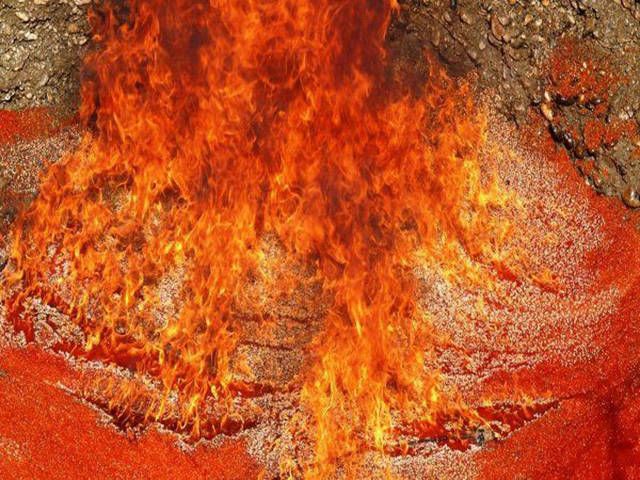 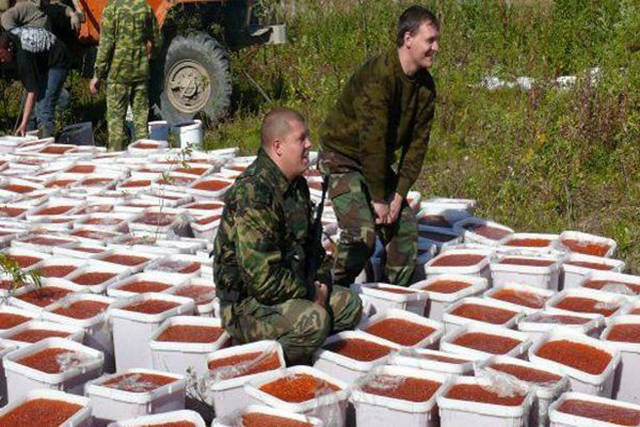 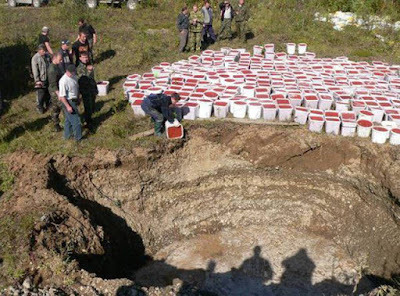 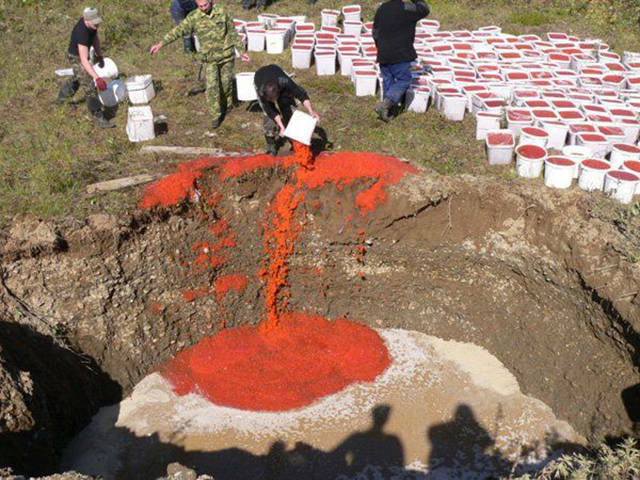 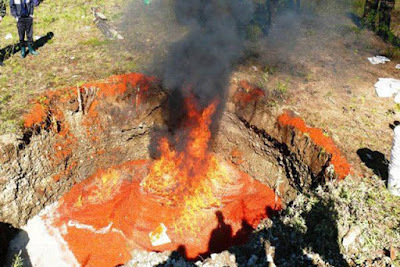 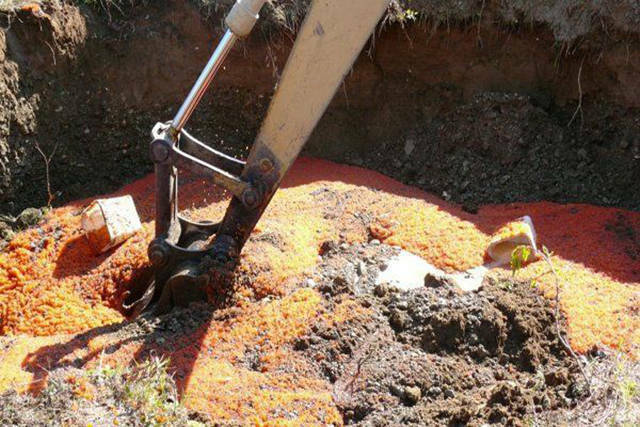 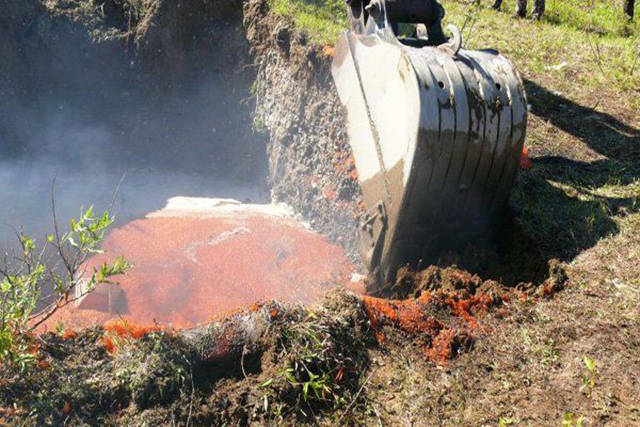 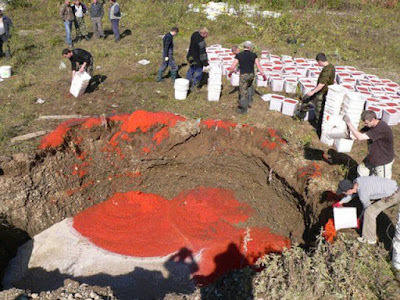 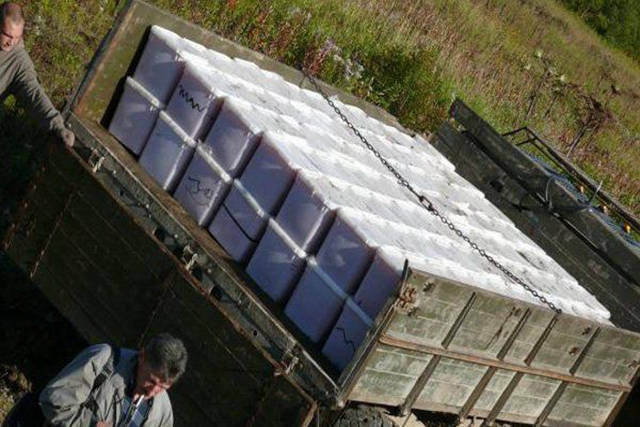 They did what they usually do in Russia with confiscated goods: dug a big hole, poured all caviar there... and burned it. 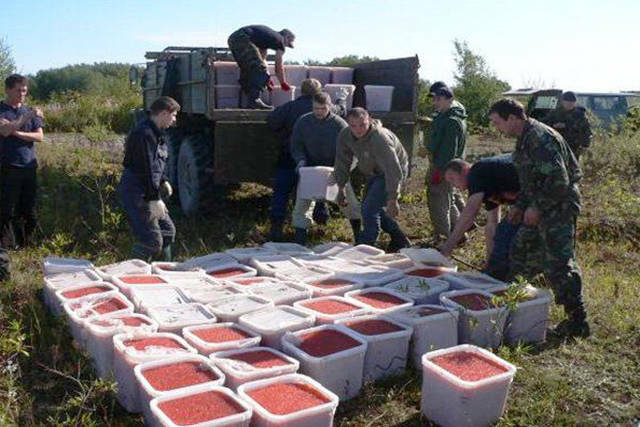 But before it, workers had a couple of sandwiches with caviar.